Deliver your parcel, gift, and product. send & receive parcels without any challenge. No Worries! Deliver in Uganda! CourieMate, courier and shipping company in Uganda, offers delivery solutions for both business and home users. CourieMate, shipping company and parcel broker in Uganda, offers delivery solutions including parcel delivery, online & shopping delivery for both business and individual customer. Our mission is to establish a society that everybody can deliver goods in safe, whenever they want. CourieMate launched in May 2016 in Uganda, where citizens have no secure, convenient and stable delivery service with transparent & friendly price. We help both individual customers and business customers to send & receive parcels without any challenge, by providing added value solutions as well as delivery service. 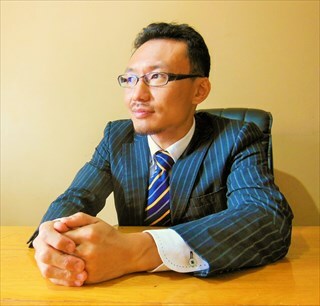 Jun is also Executive Director of WBPF training (www.wbpftraining.com) as well as Managing Director of CourieMate. Jun comes from a strong background in management consulting. Prior to WBPF and CourieMate, Jun spent nearly a decade as a business consultant with Accenture, one of the biggest global consulting firms. He has worked in more than 20 countries including several in Africa. He is also a social entrepreneur and has been working with SVP (Social Venture Partners, Tokyo) since 2011. He launched WBPF Training in 2014 in Kampala. City delivery, Upcountry Delivery, Home Delivery, Business Delivery,..
Last mile delivery to all 112 districts across Uganda!! World-wide Delivery across the World!! with the largest international courier providers. CoD for Online shopping, Bulk mailing, DM marketing, Grocery Delivery,…. CourieMate works with local and global online shop providers to deliver their goods to end-users across Uganda (112 districts). We also handle Cash-on-Delivery. CourieMate delivers letters at your convenience. The charge only starts from UGX 3,500* per delivery within Kampala.